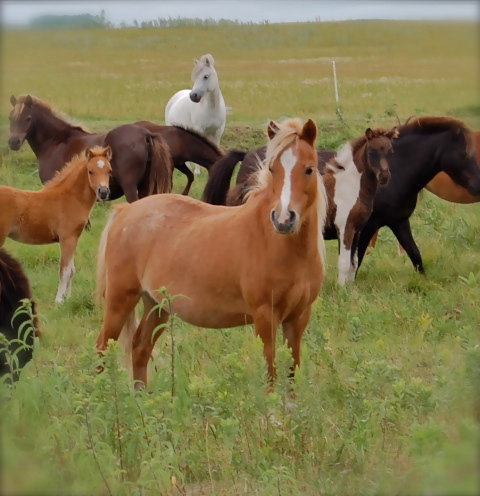 It has taken us years of breeding, saving and culling, to put together a herd of closely bred mares with similar looks and traits. 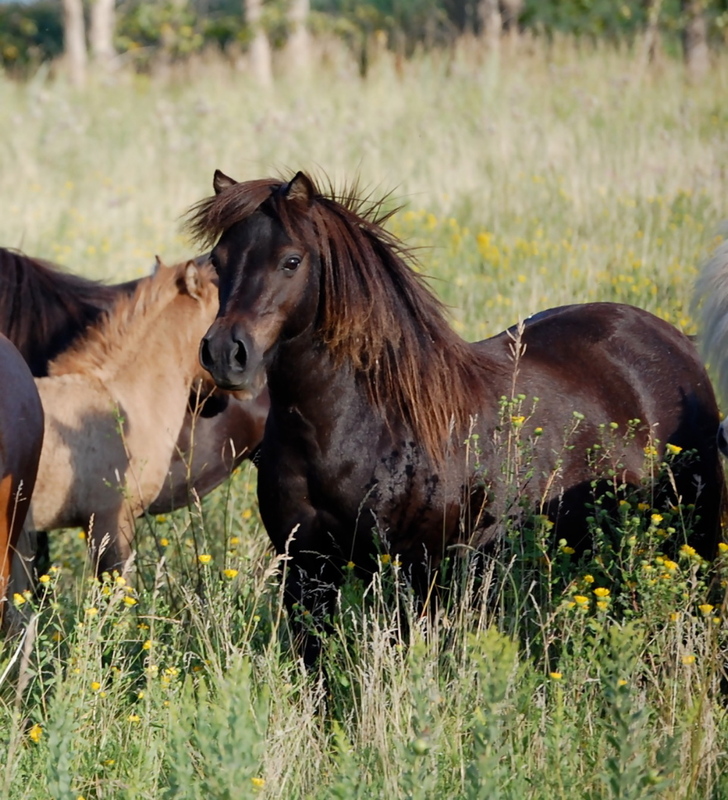 These mares are the Lucky Hart Ranch. Up until now the Stallions have served one purpose, that being, to give us daughters to put back into our herd if they met the criteria. 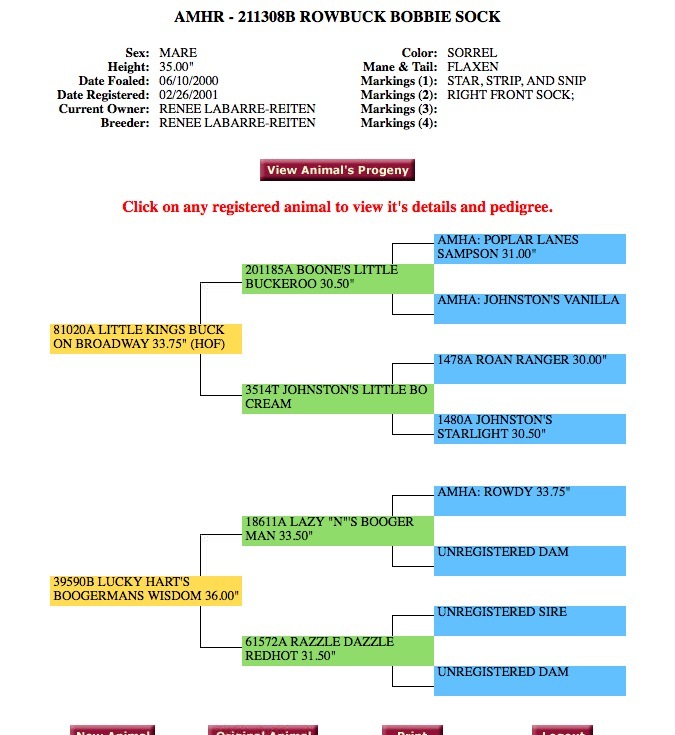 We, of course, have sold a few that I wish were still here, but basically most have been saved to be the mares that will take us to the next level. 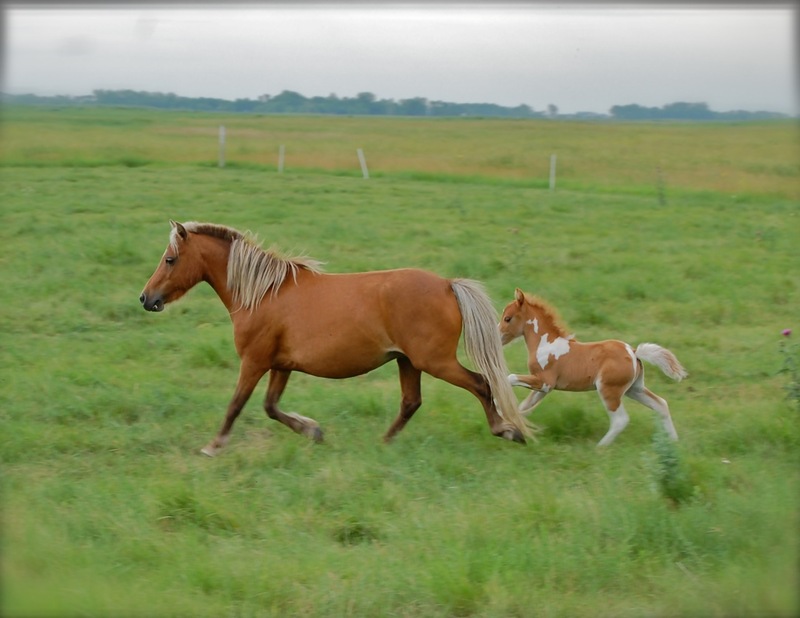 Our Mare page is always under construction, and more pictures will be added. 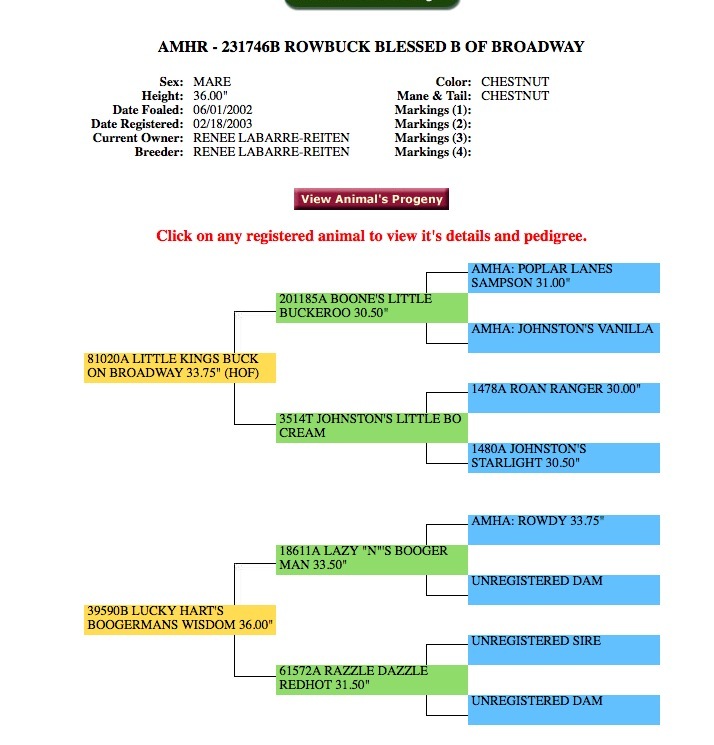 If you wish to see more of each mare please click her name or photo. Beauty has been a wonderful broodmare for us. 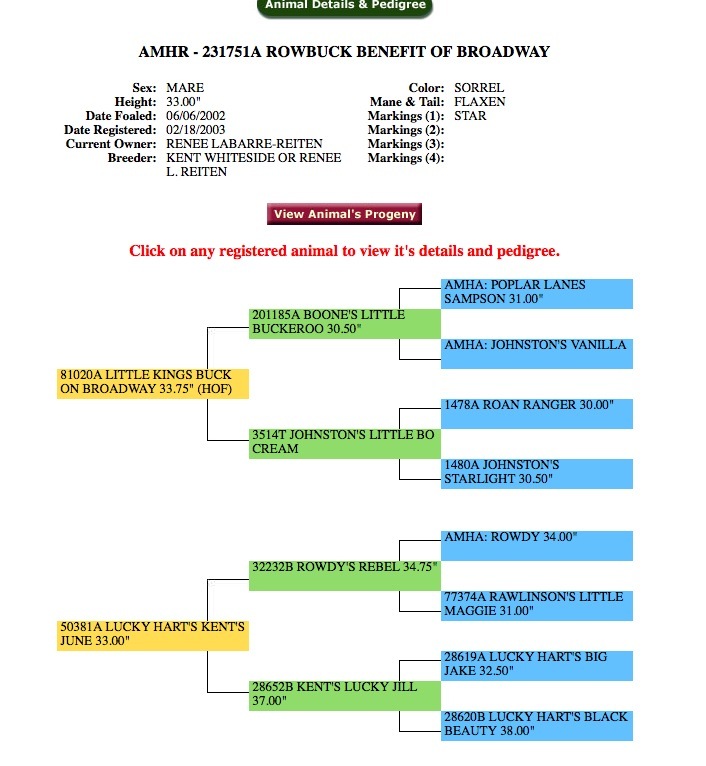 We have saved two of her daughter to perhaps be included into the American Express Pony Society. Benny has been pictured on the cover of the Journal. And it is still one of my favorite covers. 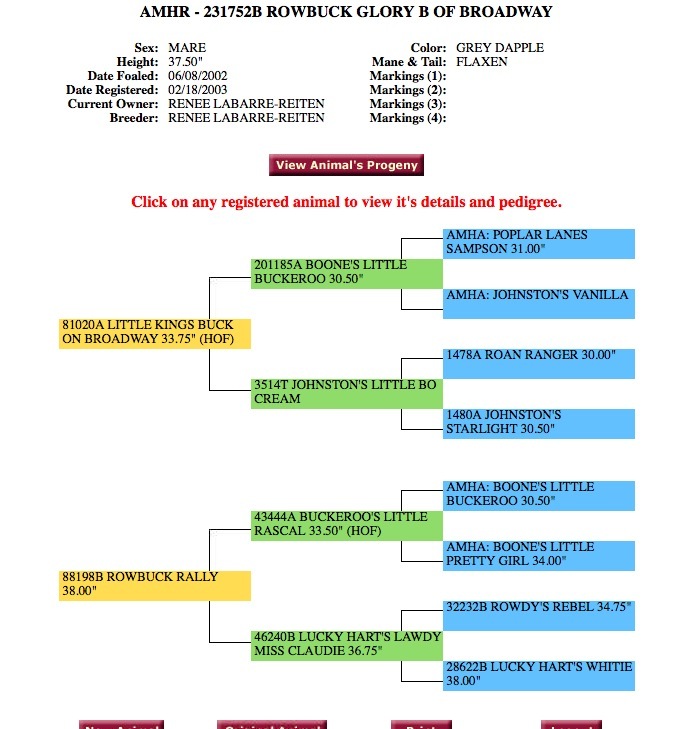 She being the dam of Copy and Express being the Sire makes Lucky Harts Express Copy one of the few horses that have had both their mother and father take the cover. 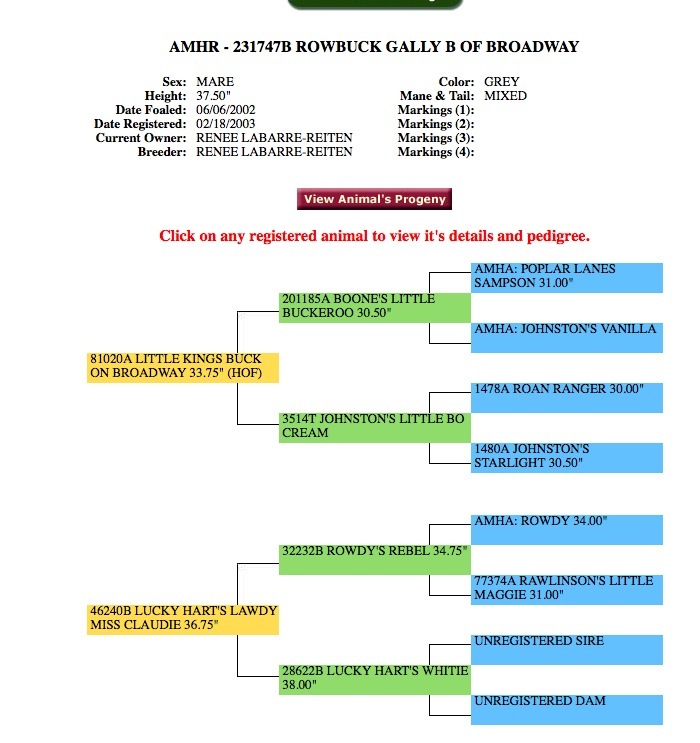 This year 2013 Benny and Express have a daughter who perhaps will be included in the newly formed blood registry breed, that being the American Express Pony Society. 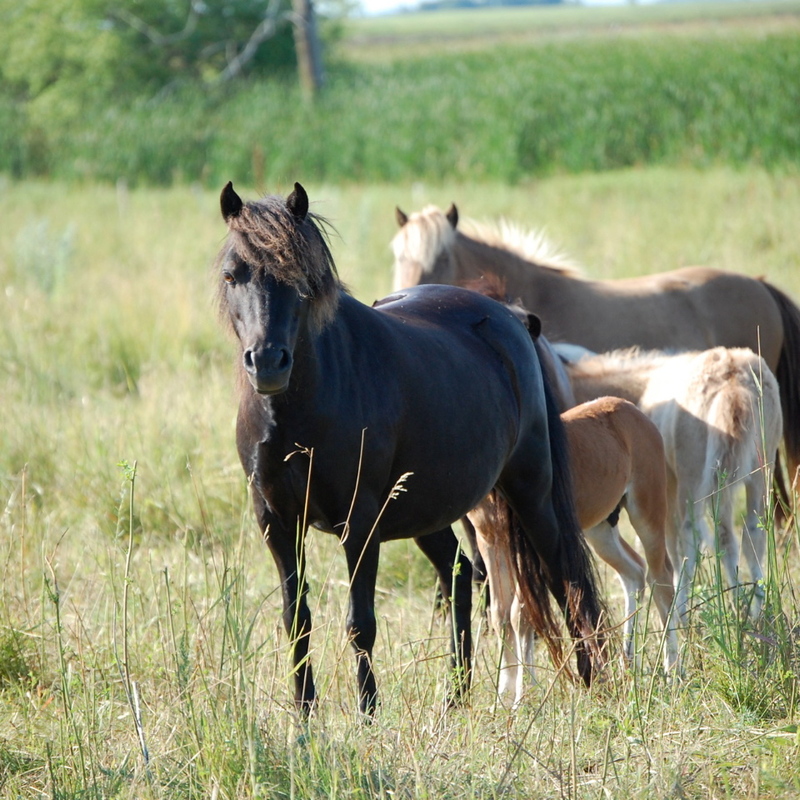 The first breed of Ponies decended from Dn'd parents, and who in turn will be parent qualified as to be their offspring. What do I say about Bally. Lets see she is a Bob daughter out of Lucky Harts Lawdie Miss Klaudie. 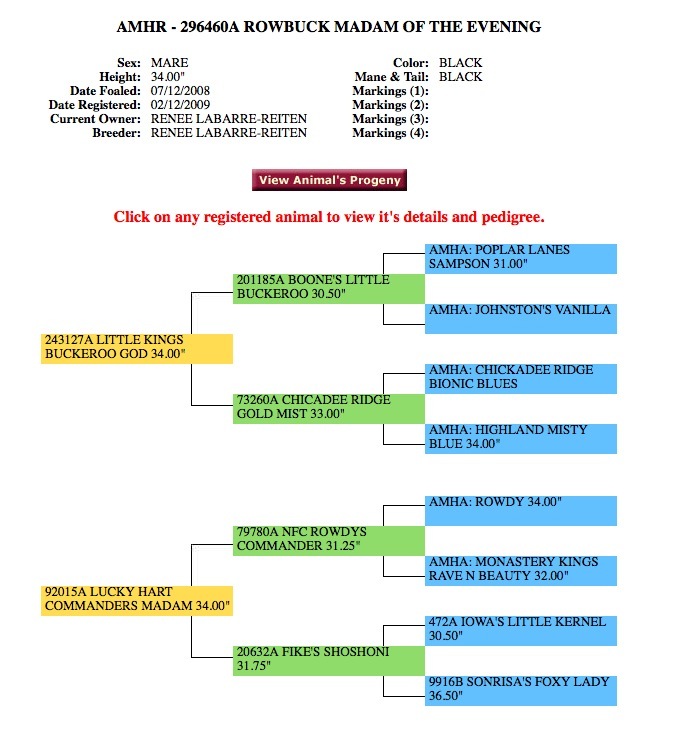 When bred to Express she produced two National Supreme Futurity Horses. This year she has given us a full sister to those two, that is one of the best I have ever raised. 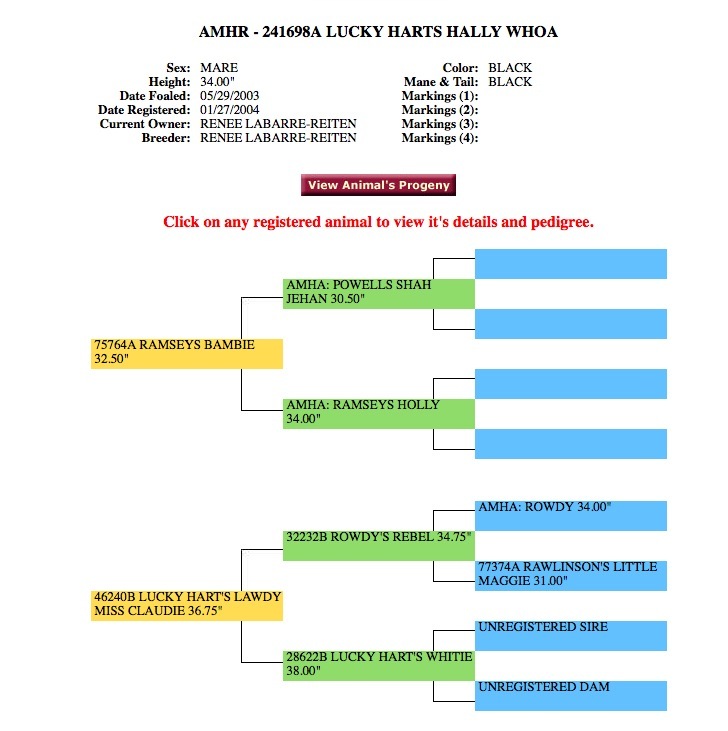 Her last year colt is named Lucky Harts Express Son. The name that I have save for the SPECIAL ONE. Bally will play a very important part in the AEPS by way of not only her daughters, but her Express son, Sonny. Rowbuck Gally B Of Broadway That darn Gally. 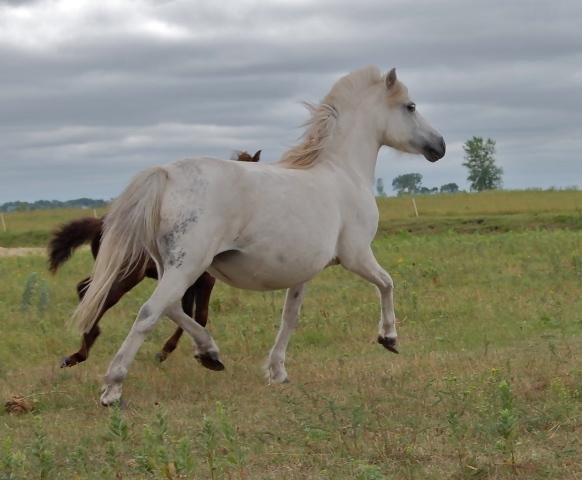 I love her and she is a full sister to Balley. She produces great and even out produced Balley a couple times, but they are all boys and they are so darn tall. Tibb's had her one year and wouldn't you know they got a fillie. I am working on a deal. 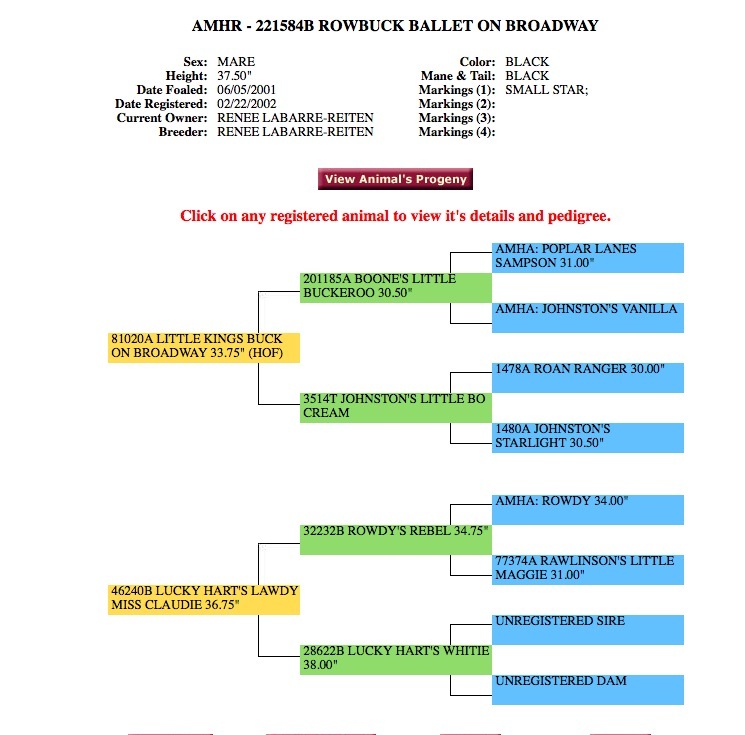 Rowbuck Glory B Of Broadway Glory has has given us an Express daughter that I really like. She usually produced too tall, for me so many of her offspring have been sold grade. We Love Bobby --These are three of her Express daughters that we have saved to run with Copy or Amigo. 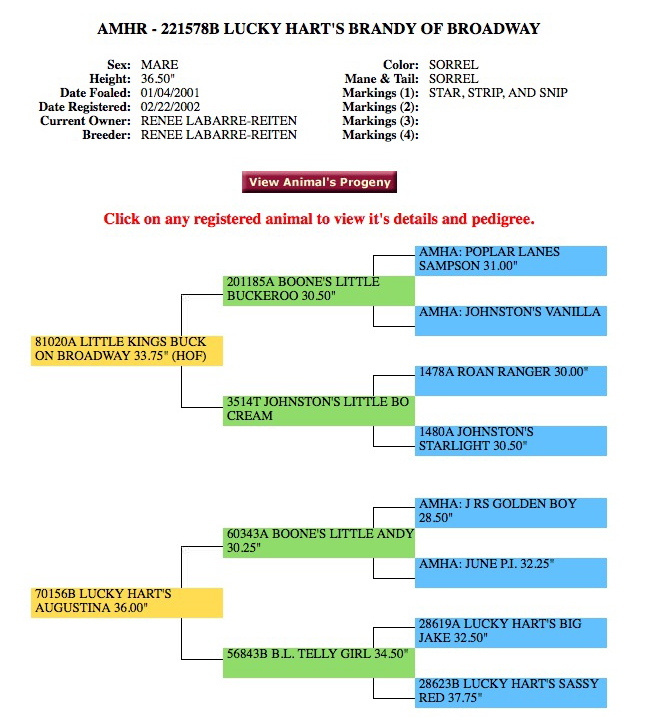 So she and Bobby being full sisters have been bred to the same stallion producing 6 mares that would be genetically full sisters. 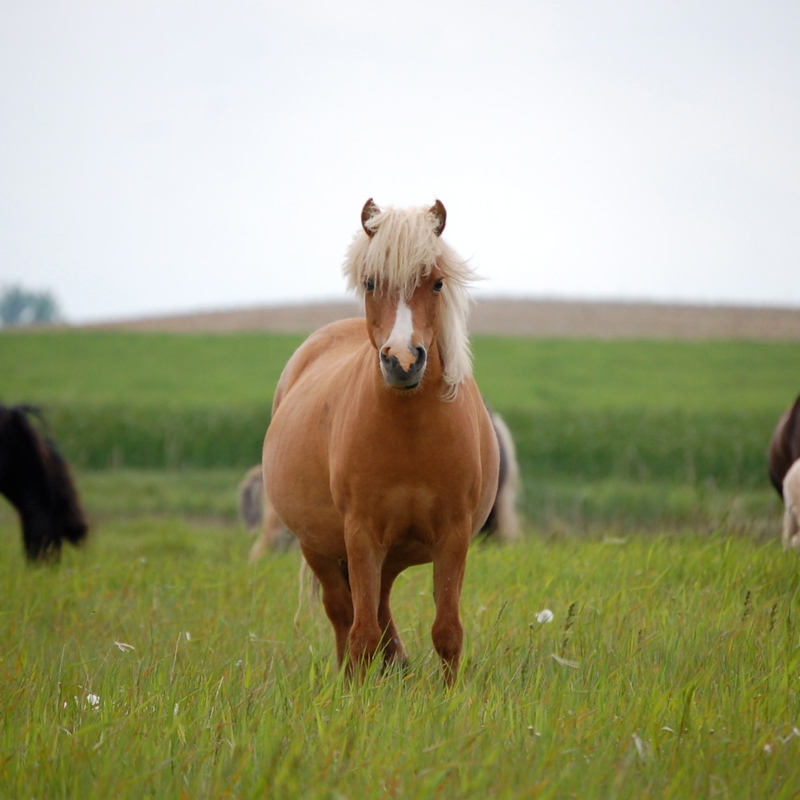 They are very similar in type and will all be bred to the same stallion. 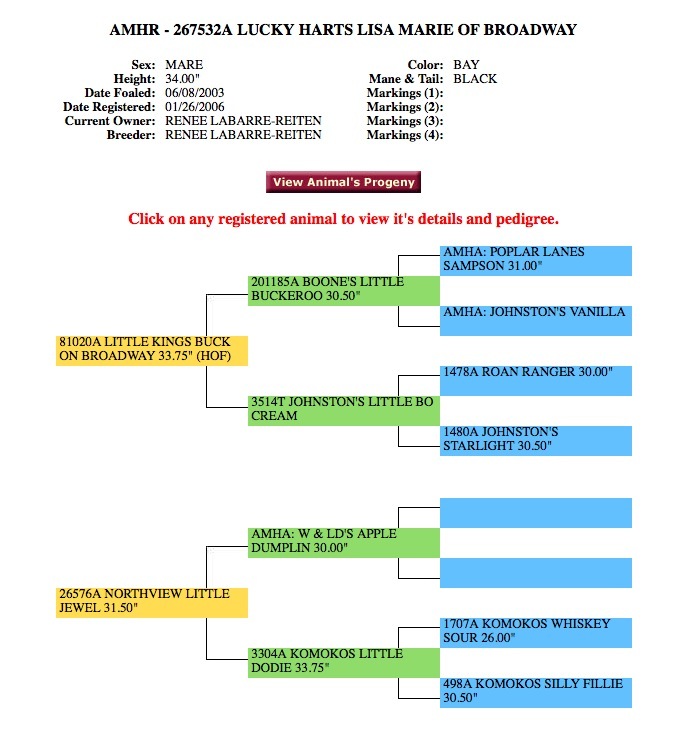 Lisa is a little different and carries some of old Komoko breeding. She is a Bob daughter and produced very well for us. 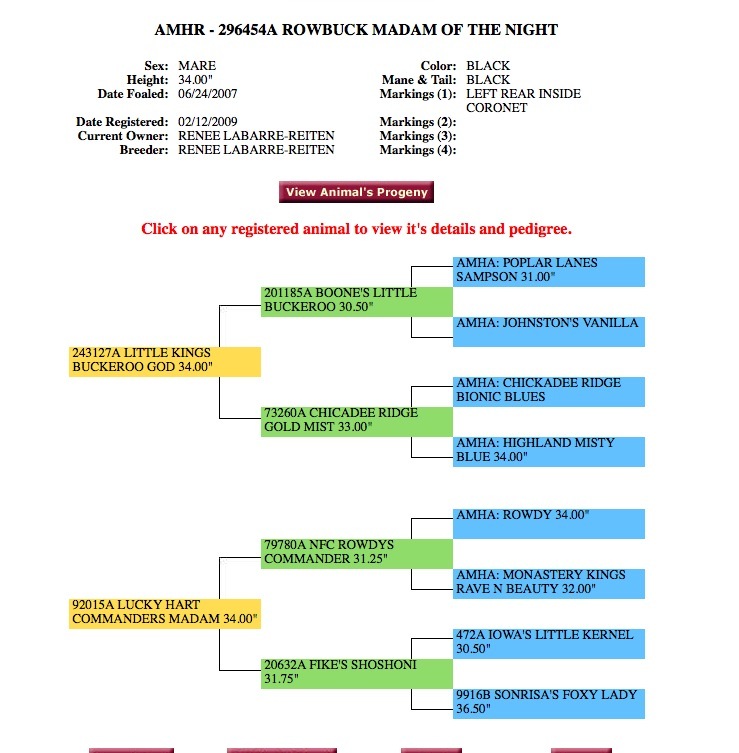 She is amhr / amha and we again have saved one of Express daughters (ET). 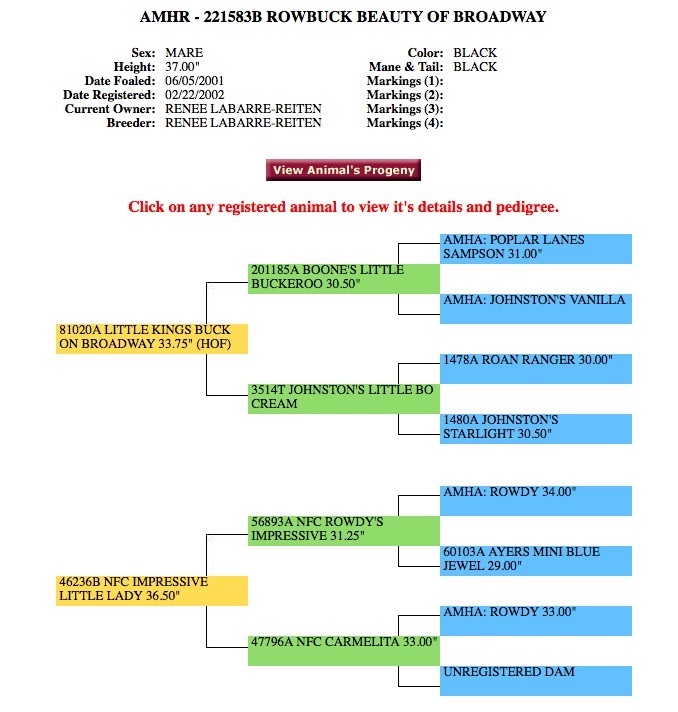 She had a extreme bay and white Express colt this year(2013) that we may even consider leaving as a stallion prospect.